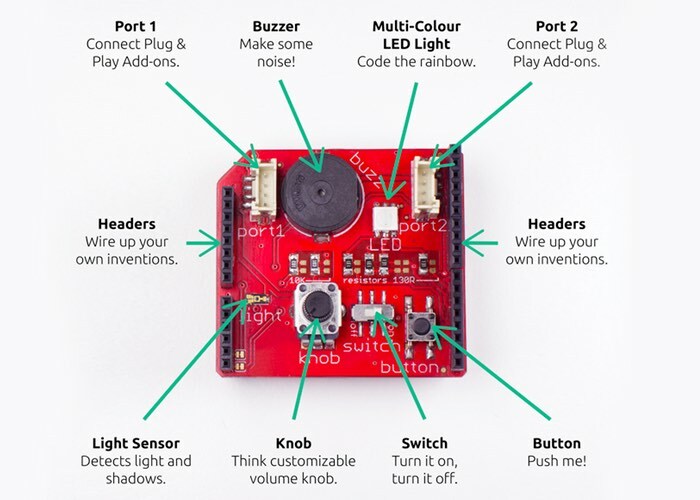 A development team based in Berlin Germany has created a new Arduino shield which has been created to provide an easy way to teach kids to code. The hardware has been called the Awesome Shield and has taken to Kickstarter to raise the required funds it needs to go into production and create video tutorials. With still 13 days remaining the project has raised enough funds thanks to over 240 backers to go to the next stage of development and produce the hardware. Check out the video below to learn more about the inspiration behind the Awesome Shield and how it can help children learn to code at home. 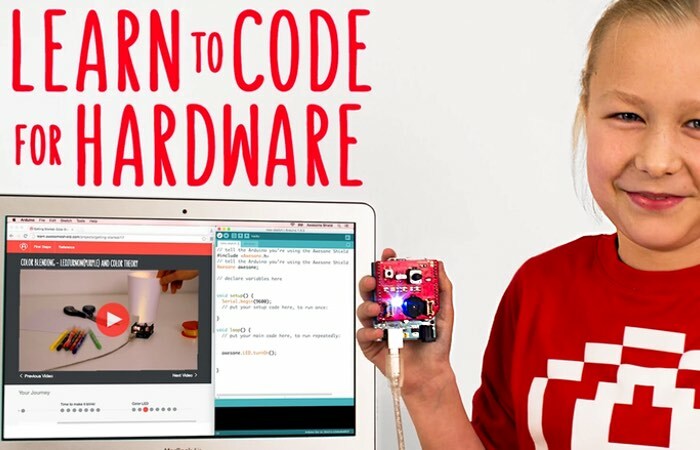 – Online video tutorials break down the basics of coding into simple, bite-sized lessons with a hefty dose of STEAM (Science, Technology, Engineering, Arts & Math) to keep it real. – Simplified code lets kids focus on the fundamentals and see results from the get-go. – Awesome Shield hardware brings code to life through light, color, sound, and sensors. For more information on the new Awesome Shield jump over to the Kickstarter website for details and to make a pledge from €49 following the link below.